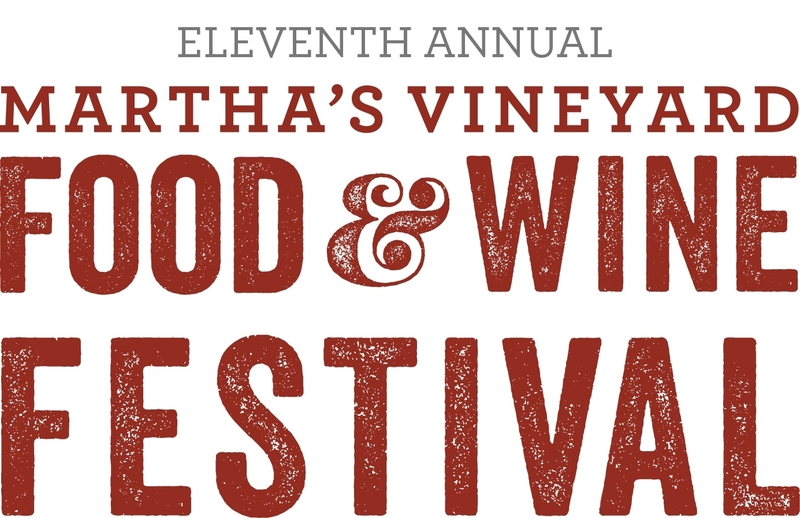 This year, there is a big change in venue for the Martha’s Vineyard Food & Wine Festival, October 17th – 21st. Many of the events will be held at the Winnetu Oceanside Resort in Katama. The Winnetu has incredible views from its restaurant, The Dunes, and outside deck, which means stunning views for some serious (and fun) connoisseurs, novice wine and food enthusiasts. With almost 20 events, it’s hard to choose what to do. We’ve got our eye on a couple old favorites and new ones that pique our interest. Something definitely noteworthy is that the Hy-Line will be offering ferry service during the festival from Hyannis. This is a game changer for those living or visiting on Cape Cod, who want to come enjoy the fun. For a full list of times and rates, click here. There are so many events happening with this festival, that an extra day has been added. The kick-off party, Fresh Off the Farm is now on Wednesday, October 17th. Fresh Off the Farm is a different from any other festival event. It’s a bit more causal, held in the beautiful, rustic setting of the Martha’s Vineyard Agricultural Hall. 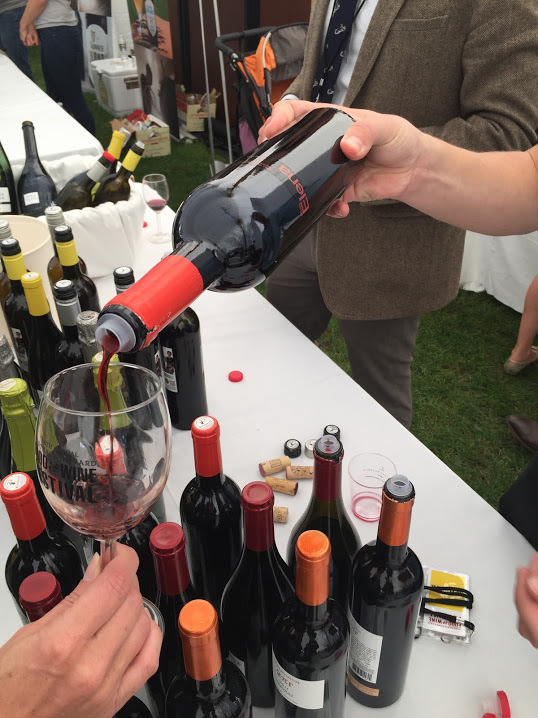 Here you will find an impressive selection of wines from Kermit Lynch Wine Merchant which will pair with food prepared by local chefs highlighting the bounty of Island Farms. There’s even the chance for a little dancing with local fav Good Night Louise. A truly great, local infused way to start the festival! Click here for tickets. 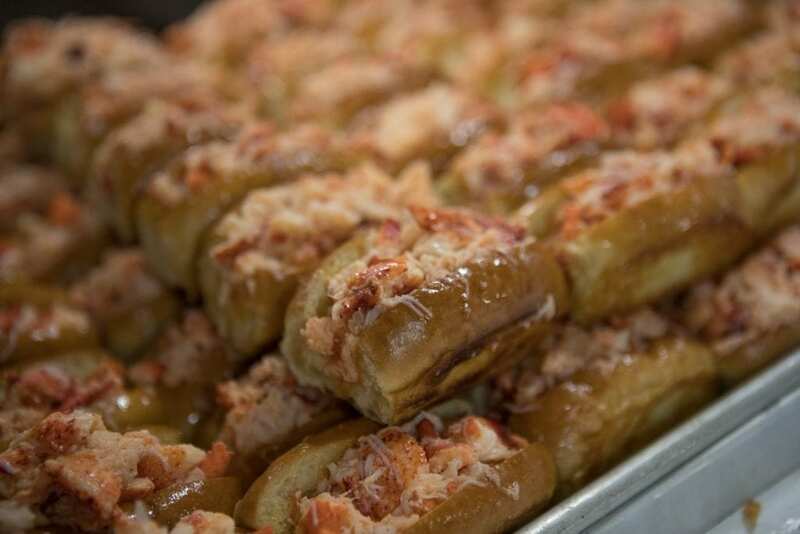 On Thursday, Bubbles & Shellfish has us thinking happy thoughts. This is definitely one of my favorite pairings. This event, from 2:00 p.m. to 3:30 p.m., is held at the lovely l’etoile restaurant in downtown Edgartown, and features five Moet & Chandon Champagnes paired with local shellfish, all prepared by chef Michael Brisson and his talented team. Our local shellfish is definitely a great way to feel connected to our surrounding waters, and in Michael’s hands, these salty gems are sure to be outstanding. Click here for tickets, and don’t forget to check out other events happening this day. On Friday, I would have loved to go to Lobsterpalooza! With Yankee Magazine and Kendall-Jackson but this event is sold out, and I am not even going to tease you with the details. My other favorite, Somm Throw Down with Joseph Carr, Atria’s Sam Decker, and Bar Mezzana’s Heather Lynch is also sold out! 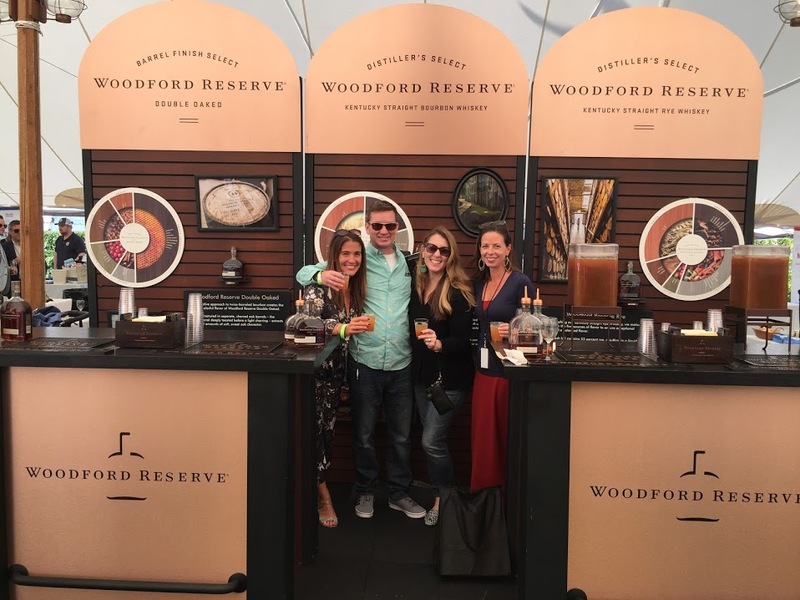 I have never been to Lobsterpalooza, but I can tell you that the Somm Thow Down is a blast! Get tickets early next year. So, if had to choose, I think that Sea Oui Si would be a delicious option. Living here, I am lucky enough to enjoy the cooking of a number of excellent chefs, and enjoying the cuisine of renowned chefs from other parts of the country at home is a special treat. Sea Oui Si, at The Dunes at the Winnetu, 7:00 p.m. to 10:00 p.m., features six courses prepared by two guest chefs, who are known as pillars of the New Jersey restaurant scene, Michael Carrino, Chef/Owner of Pig & Prince Restaurant in Montclair, New Jersey, and Kirk Avondoglio, Chef/Owner of Perona Farms in Andover, New Jersey. The chefs will be working with the freshest New England seafood, which will be found throughout the menu, all paired with French and Italian wines from the impressive portfolio of importers, Kermit Lynch. Click here for tickets and to see what other events are happening this day. 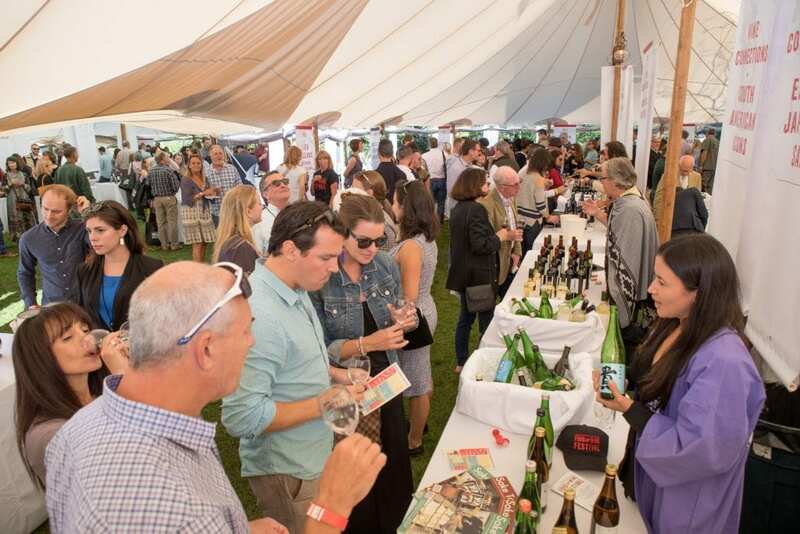 Oh yes, Saturday’s Grand Tasting, VIP begins at 1:00 p.m. and general admission begins at 2:00 p.m.. This is the event I enjoy the most. Here, I let my love of wine and food and learning take flight. 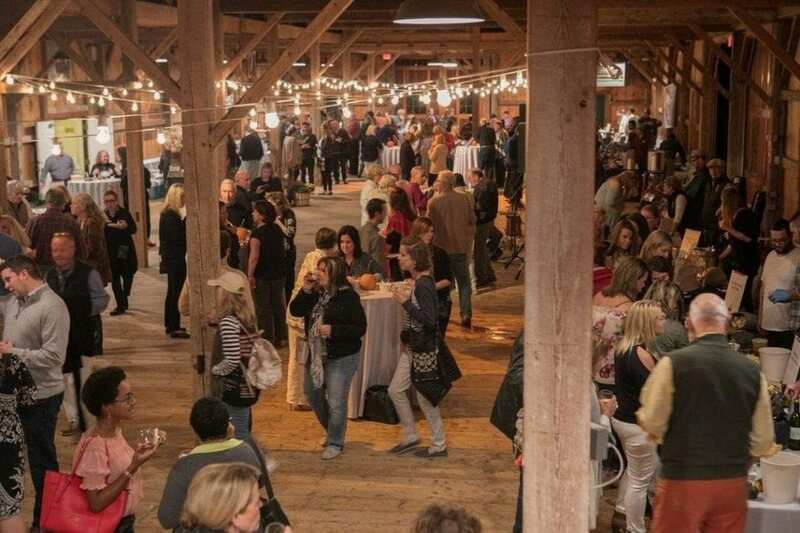 The grand cumulation offers tastings from 250+ winemakers, spirits, breweries, gourmet foods, and restaurants, as well as chef demonstrations and wine pairings. Participating restaurants include Bistro du Midi of Boston; Woods Hill Table of Concord, MA; and Garde East of Martha’s Vineyard, among others. This is like Christmas for foodies and wine fans. You might be surprised at all that you will discover at this event. It is a chance to meet the wine makers. 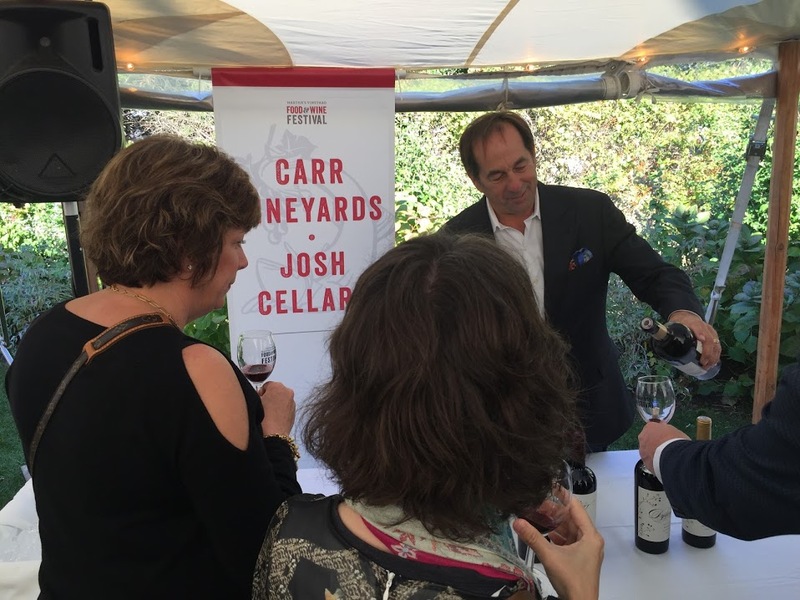 Talk to wine trend setters, like Joseph Carr. Meet chefs from incredible restaurants from the Vineyard, Cape, Boston, and beyond. Find new favorites for your collections. Here your palate can experience so many incredible libations and such delicious cuisine. 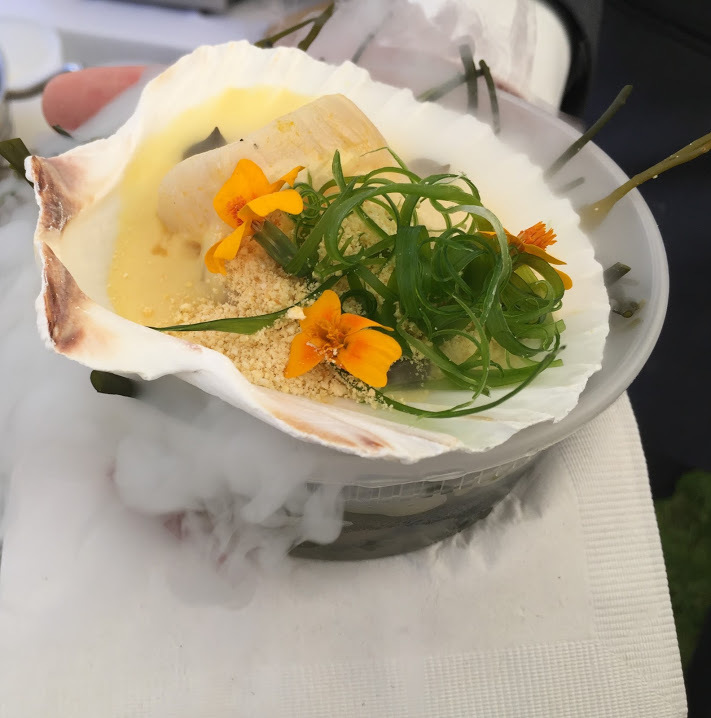 Last year’s event was truly spectacular in the food department, with dishes that included dry ice. The food was inspiring and unique. 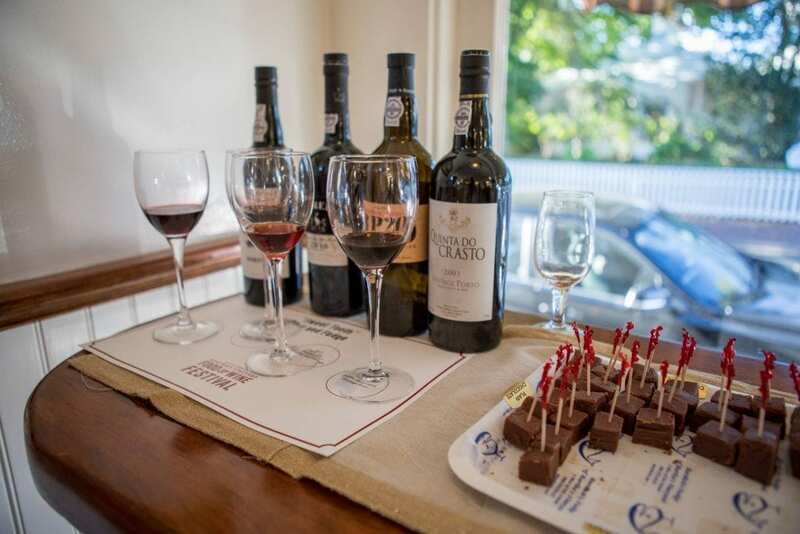 The wines and spirts featured are sure to delight the most seasoned wine aficionados and excite the novice. This is a spectacular even, not to be missed, and its new home, the Winnetu Oceanside Resort is sure to provide the perfect setting. Click here for tickets and to see what other events are happening this day. 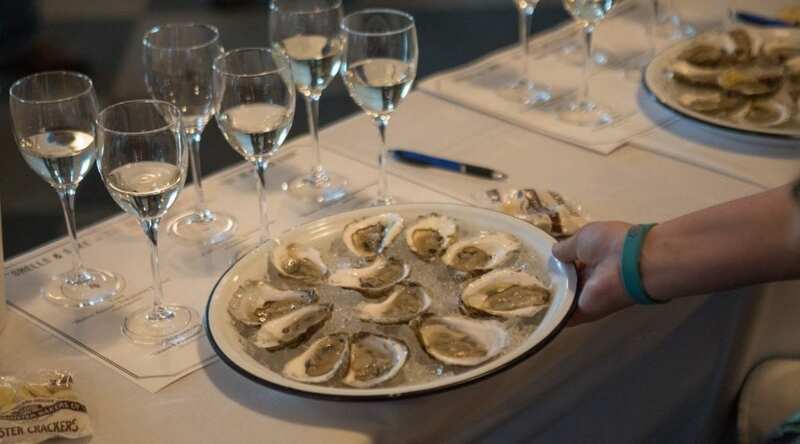 New to the Martha’s Vineyard Food & Wine Festival is the Martha’s Vineyard Brunch Run. Now you can enjoy a 5k/10k run/walk as a way to kick off your Sunday morning of the Food & Wine Festival, 8:00 a.m. to 12:00 p.m. The course for this race is spectacular, beginning at The Katama General Store. The pastoral views Katama provides are beautiful, and the ground is nice and flat. The wind can be a little tricky here though. For this event, you can walk or choose to do a 5k or 10k. I like everything about this race. When finished, each participant will receive a festival finisher medal, and a custom commemorative brunch glass that you will take directly into a post race “Brunch” party with amazing brunch nibbles, and refreshing beverages including bubbly! This is a great way to recover a little from all the festival fun. I am excited for this new addition. So excited, as a matter of fact, I am planning to make this my first 10k ever! Let’s hope I go through with it. A friend of mine challenged me, but I am not much of a runner, so it should be interesting. Click here for race info and to register. Pre-registration is recommended. If you don’t want anything to do with the run/walk, not a problem. You can end your festival experience with brunch anyway, 10:00 a.m. to 11:30 a.m. As mentioned, there are fun libations, food, an epic brunch buffet, and even live jazz, all to be enjoyed at The Dunes at the Winnetu. 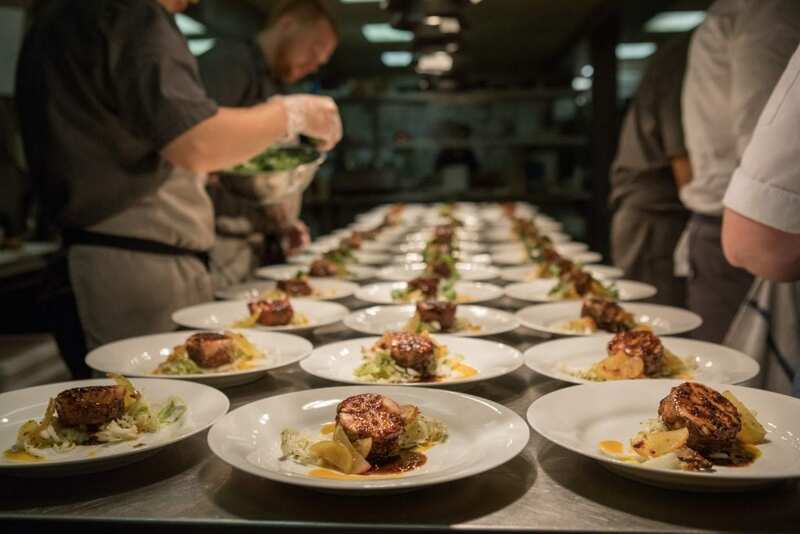 In addition to these events, there are many more to choose from — intimate wine dinners with iconic wine makers and world renowned chefs, a deconstructed clambake, events that highlight chocolate and red wine and more. Get your tickets now for the events that you are interested in. There are several events that have already sold out and many more that are sure to. 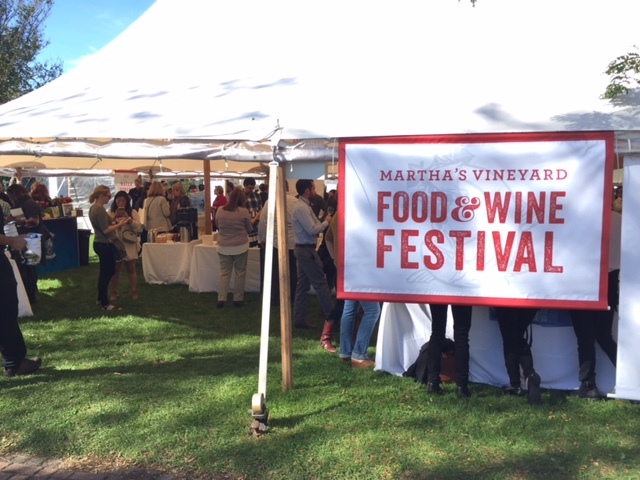 You can also learn more about the Martha’s Vineyard Food & Wine Festival on Facebook and don’t forget to “Like” us on Facebook, and follow us on Twitter, Linked In, Google+, Pinterest and Youtube and Instagram. 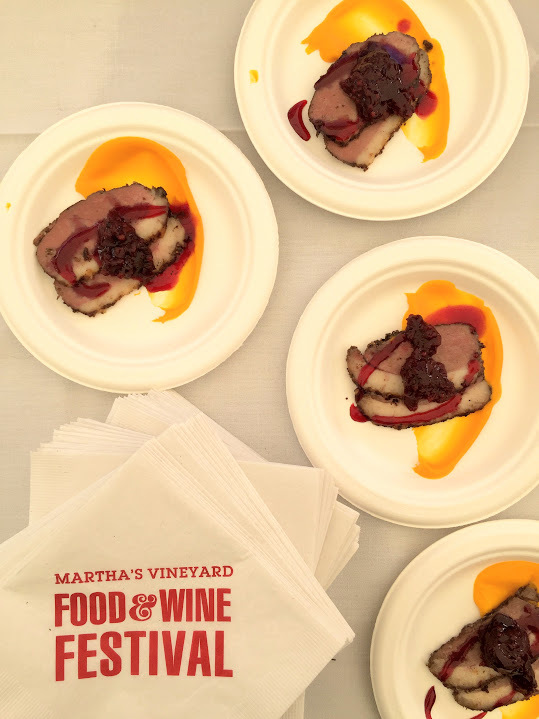 Thank you Martha’s Vineyard Food & Wine Festival for contributing a number of photos.